Easy access to I-575 and GA Hwy 140. Good road frontage for both tracts (2 and 4 must be sold together). 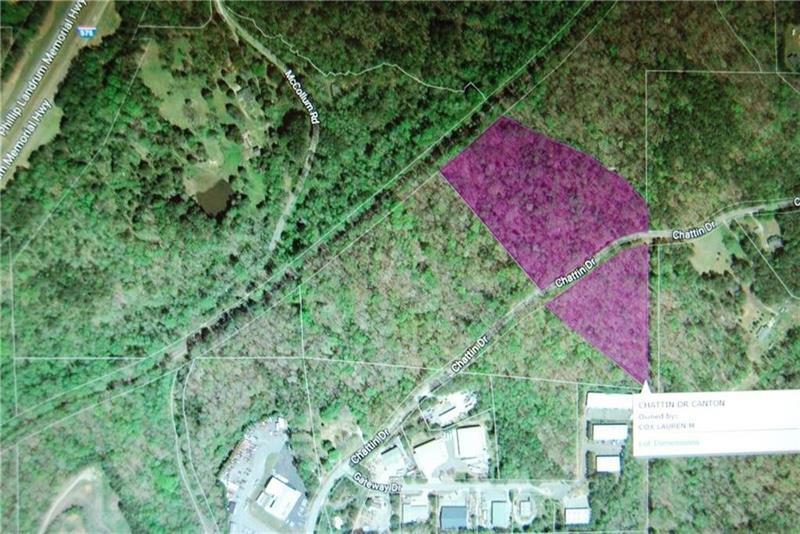 Also available is tract 1 (11.080 acres) and tract 3 (3.488 acres); if interested tract 1 and 3 must be sold together. Wooded acreage with a lot of potential uses. Very close to Kenney Askew Park and Malon D. Mimms Boys & Girls Club. Close proximity to restaurants, grocery stores and new hospital. A representative from Metro Brokers has received your request to visit Chattin Drive on at .